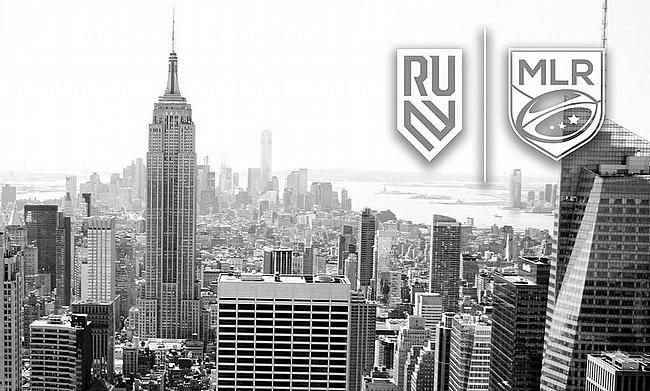 Arnald: "The project of establishing this rugby team in New York is very exciting"
Rugby United New York's CEO Pierre Arnald tells Joe Harvey he is keen to "establish the brand" of the new MLR franchise. Those are the thoughts of Rugby United New York’s new CEO Pierre Arnald. Arnald is a name well known by fans of the Top 14. Director General at Stade Français for six years, Arnald took a year break after following the arrival of new owner Hans-Peter Wild. Wild’s ownership came after the uncertainty of the club’s future and a possible merger with arch-rivals Racing 92. “I was very stressed because of this project,” Arnald told TRU. “I took one year to decide what I can do for rugby. I had several proposals from clubs in the European Cup, but I wasn’t really interested because I want to make something bigger. With RUNY becoming the first ever MLR side based on the east coast, it was recently announced that they would be joined on their side of the country by a side based in Boston, as well as one in Atlanta. With a strong rugby history in Harvard, there will be much excitement in their community that Major League Rugby is coming to the city. The club have recently announced the signings of two players. The pair have both played in England and on the World Sevens Series for the USA. The first was Luke Hume, a former Gloucester and Narbonne player. In addition to this, Hume also represented the USA in rugby league. The club’s second new signing is someone that fans of the National Leagues could be aware of. Connor Wallace-Sims started his career at Canterbury RFC before representing USA U20s and then going on to play for the USA 7s and Old Blue in New York. A lot of the clubs’ recent signings have been players who have represented either Old Blue or Athletic Club, the city’s two biggest rugby rivals. However, RUNY have been in the media recently for another reason. Old Blue/ USA 7s playmaker Connor Wallace-Sims has signed with Rugby United New York for the upcoming MLR season. ???? Around two weeks ago, recently retired French legend Freddie Michalak was linked with a move to New York. What is so clear is that all the staff at RUNY are completely on the same page. They want to build a club rather than a business and that the fans come first. Arnald is no different. His appointment as CEO is a statement of intent from the owners as it shows what they wish to aspire to in the future.